Scoring the quality of leads is not an exact science, but there are ways to determine if a lead is worth nurturing toward a sales engagement. Lead scoring includes metrics that account for buying authority, interest level, budget availability, and purchase timing. In order to accurately qualify a lead’s readiness for a sales engagement, your lead scoring framework should include three criteria: match, activity, and depreciation. The first step in qualifying any lead is to determine if a lead matches an optimal lead profile (OLP). The OLP includes all the attributes which make a lead a solid candidate for a sales engagement. The most qualified leads will fit the profile completely; in some cases, a lead might match some profile criteria but require nurturing in order to determine whether she is a complete match. Your marketing tools should extract enough details about each lead to allow you to determine if a lead is a match. In order to receive a high score, a lead should possess the appropriate attributes of having buying authority (which can include decision-making influence), a budget that can accommodate the purchase, a need that can be fulfilled with your offering, and an imminent desire to purchase. A match is primarily scored according to demographics such as industry, company position, revenues, location, company size, and other definable characteristics. A lead’s behavior should also contribute to scoring his sales-readiness. The activities a lead performs while engaged with your marketing efforts will reveal his propensity to purchase, as well as identify his role in the buying process. A lead that appears to be actively researching available options should score higher within most automated marketing programs than a passive, curious lead. Scoring should measure more than the type of activity a lead is engaged in. Scores should also reflect how involved he is in the buying process. What interest level is he at? What type of activities has he participated in? How many engagements have taken place? A fully engaged lead will hit several touch points during his research. The duration of activities, such as website visits, or the frequency of actions, such as content downloads, can indicate the interest level. A lead that spends two minutes viewing a company profile on your website should score lower than one that spends ten minutes reading product descriptions. 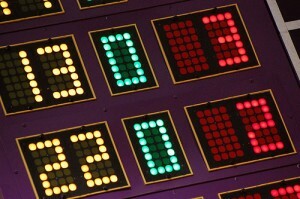 Lead scoring should also account for gaps in time between marketing responses. The activity dormancy period should be scored according to its duration. How long has it been since a lead has responded to a message or has searched for your site, company or product? If there have been more than a few weeks between engagements, a lead’s score should be reduced. By decrementing a lead’s score to allow for engagement depreciation there is less likelihood of an untimely sales engagement. Want to learn how Lead Liaison can help your company better qualify leads using lead scoring principles? Fill out the brief form on the top of this page. 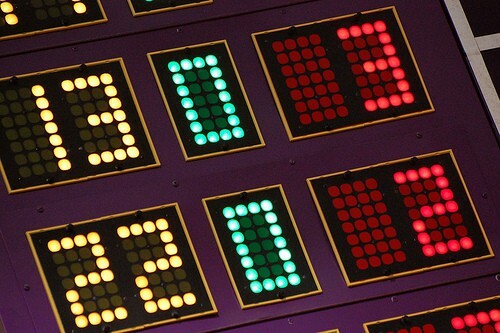 Why Do You Need Lead Scoring?